We made weather instruments so that we could record the weather. We made an okta to measure cloud cover. We cut 8 squares out of a piece of card. When you look through the okta at arm’s length, you can count how many of the squares are filled with clouds. On a very cloudy day, 7 or 8 squares will be filled. On a very clear day, you might see clouds in only one or even none of the squares. 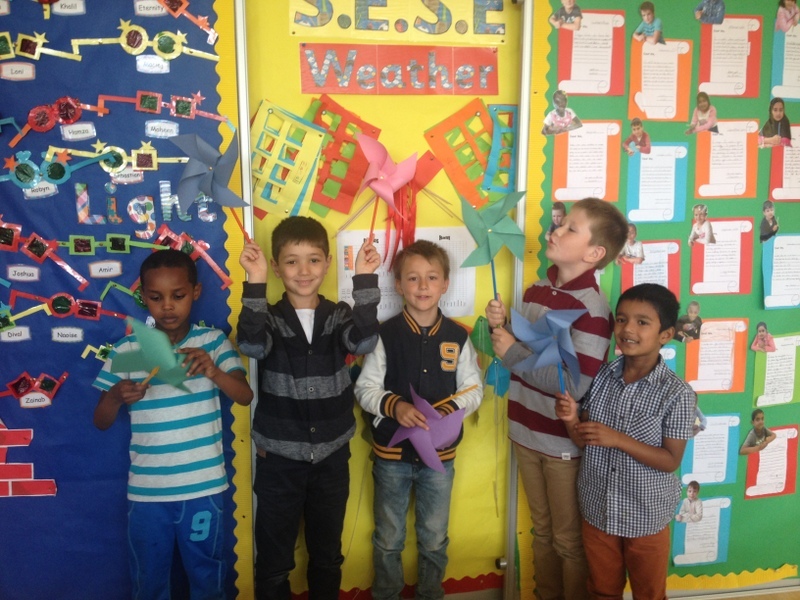 We made a simple wind vane from a stick and a piece of ribbon. We decided whether it was calm, windy or very windy depending on how high the ribbon was lifted by the wind. We also made a rain gauge to record the rainfall. We made this out of a plastic bottle. We cut off the top of the bottle and turned it upside-down so that it acted as a funnel. Then we left the rain gauges outside. We measured how much rain had gathered in the bottles by measuring it with a column of cubes. We recorded our data on graphs so that we could examine how the weather was changing. We learned about the water cycle. This video explains how it works. We also listened to this fun song all about the water cycle! 1) Evaporation- when water heats up and turns to water vapor. 2) Condensation- when water vapor cools and turns into water droplets. 3) Precipitation- when the water droplets become larger and fall down. 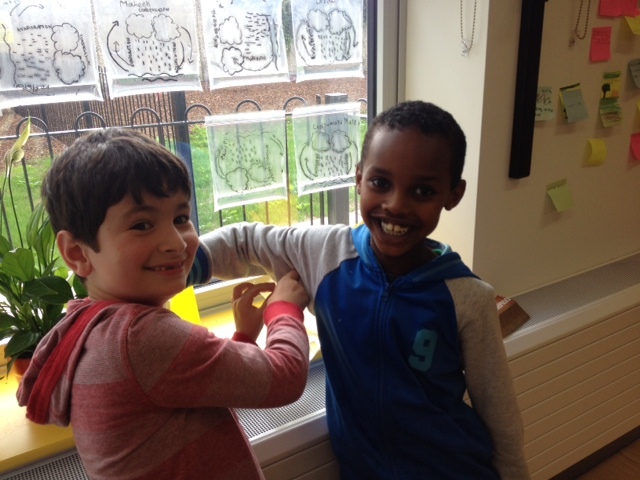 We then placed a little bit of water inside our sandwich bags and stuck them to the classroom window with sellotape. The sun heats up the water inside so that it evaporates. This is evaporation. When the water vapor hits the inside of the plastic bag, it cools down. It condenses and turns into water droplets. This is condensation. As these water droplets become bigger, gravity causes them to fall down. This is precipitation. Then the whole process starts again. This is why it is called the water cycle. It goes round and round again and again- just like the pedals of our bike when we are cycling!! 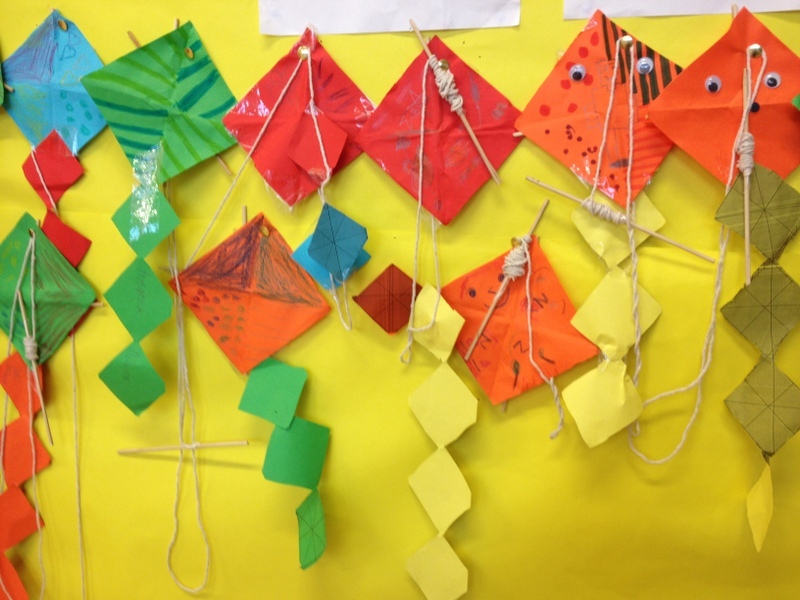 We made our very own kites. We went outside to fly them in the wind. We talked about renewable energy. 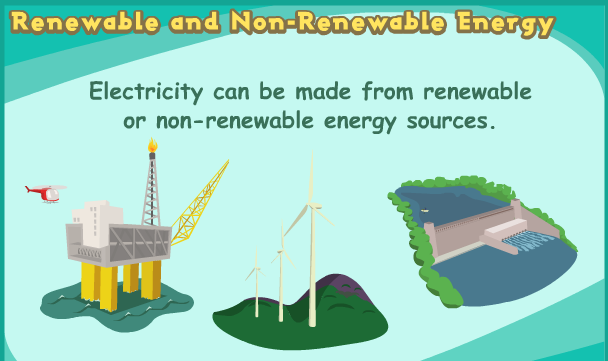 Electricity can be made from renewable and non-renewable sources. Most of our electricity is made in power stations that use coal, gas and oil. Coal, gas and oil will eventually run out and we can't make any more. These are called non-renewable sources of energy. Renewable sources of energy like the sun, wind and waves can also be used to make electricity. These are called renewable sources because they will not run out! 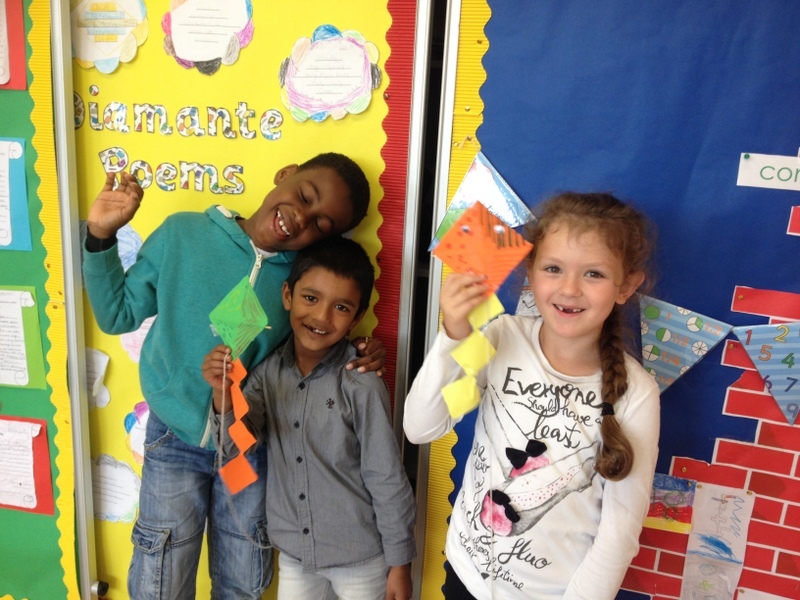 We made our own windmills. Have a look at how they turned out!